Time: 6:00 – 7:45 p.m., followed by a networking reception from 7:45 to 8:30 p.m.
Senior Vice President and General Counsel, Ladenburg Thalmann & Co. Inc. Managing Counsel in the Retail Brokerage Litigation Section, Wells Fargo Bank N.A. Elizabeth A. Fitzwater, Esq., Gibbons P.C. This program will explore the practical and legal issues that arise when employees transition between financial services firms. When an employee now ends his or her employment at a bank, hedge fund, private equity firm or other financial services firm, both the employer and employee are faced with a complex set of risks and competing interests to protect, many of which involve the use and protection of intangible confidential information. The upheaval occasioned by the financial crisis has greatly increased the number of such transitions, and has raised the stakes for both employers and employees in protecting these interests. The subject matters addressed in this program will include: (i) the treatment of trade secrets and confidential information; (ii) the portability of “track record” information; and (iii) non-competition agreements. The program will address both civil and criminal aspects of these issues. While the focus of this presentation will be on the financial services industry, the principles developed in that context have applicability in many other areas. Accordingly, the program should be of interest to a wide range of federal practitioners. This program will provide 2.0 transitional/non-transitional CLE credits – 1.5 in Areas of Professional Practice and 0.5 in Ethics and Professionalism. All attendees must register online. CLE credit is provided free of charge to all Federal Bar Council members in good standing. There is a $150.00 charge for CLE credit for non-members. Non-members may join online at www.federalbarcouncil.org. Dues for membership in the Federal Bar Council are as follows: free for federal judicial law clerks in the Second Circuit (for a maximum of 2 years); $50 for retiree members; $75 for lawyers who practice in the federal courts as a government employee or who practice law for a not for- profit entity; $100 for lawyers who have been a member of the bar for 5 years or less; $100 for lawyers who practice outside the Second Circuit; $275 for regular members; and $475 for sustaining members. 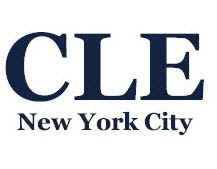 Membership includes, among other things, free CLE Programs, a free copy of the Second Circuit Redbook, a free subscription to the Federal Bar Council Quarterly and advance invitations to lectures and events. Sustaining members also receive a complimentary copy of The Remarkable Hands, An Affectionate Portrait and identification as a sustaining member in the membership listing section of the Second Circuit Redbook. The Federal Bar Council is pleased to offer a 50% discount on the cost of its CLE Programs to attorneys who are unemployed, employed in the public sector or who work for a not-for-profit entity and who can establish financial hardship. The original application for this discount must be submitted to the Federal Bar Council at least two weeks prior to the CLE Program for which it applies. Please contact the Council for an application form. Education Board as an Accredited Provider of Legal Education in New York State.